So what do you do when you get a list like this? My hope is that in this post, I can give you my process for starting to come up with some foods and recipes you can eat when you receive a long list of foods you should be avoiding, even temporarily. 1. Focus on what you can eat, not what you can’t! 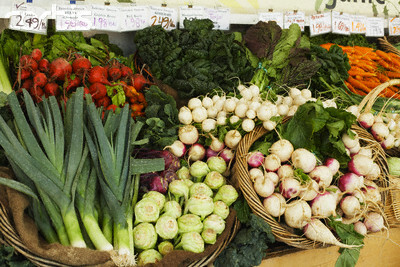 Make a long list of all the foods available in your grocery store, farmer’s market and local health foods store. Make categories for the main food groups and list all the foods under them that you can find. Categories would include: meat, seafood, dairy products, fruits, vegetables, herbs, spices, glutenous grains, gluten-free grains, grain-free “grains,” condiments, nuts, seeds, legumes, and sweeteners. 2. Highlight all the foods you can eat on the list, or cross off the ones you can’t eat. Focus on these foods and what you can create from them. This first step will help you immensely if you can get through it. The most difficult part of receiving a list such as the one from this woman for her daughter, is that you have to be very creative when it comes to foods that resemble grains, baked goods and pastas. Here are some grain-free grains, flours and seeds that can be used. Some of these can be used by themselves as a flour in a recipe while others need to combined with other ingredients. As you can see the grain-free list is pretty long! I could probably keep going but I’ll stop there. It’s really just a matter of knowing what to do with these ingredients once you figure out that there is quite a bit of variety out there! 3. Focus on the allowed foods and get creative with alternatives. Going back to the example diet that I listed before, here are the things that her daughter can eat based on doing this process. All meat and seafood – this is a huge plus if you’re in this boat. The challenge with this is some kids just don’t like meat or won’t eat it. But if you aren’t a vegetarian but have a limited diet, this helps a lot with meal planning. Also, you can bread fish and chicken with almond or pecan meal and it makes it more appealing to children. All veggies and all fruit except for corn, banana and kiwi. It’s also helpful that her daughter can still eat potato as this is in a lot of foods and can also be used as a starch in baking. Vegetables and fruits are so versatile – a great opportunity for creativity. All beans except for soy. Beans are hard to digest in general so this may be something that she would eat every now and then but it also depends on her health issues. Chickpeas can be ground into a flour as well as others such as fava beans. I personally don’t like the taste and find them hard to digest as flours but they are an option. All nuts and seeds. This is extremely helpful that she can still eat nuts and seeds. Peanut butter isn’t even on her list (though this is a legume). Nuts can be used as nut butters, flours, nut milk ( which would be a good option for her for a milk alternative since she can’t have soy or rice), cheese (though commercial brands may have casein in them), as breading on chicken or fish, dairy-free cheese sauces (cashews) or just eaten whole as a great snack. They are most digestible however if they are soaked and then dehydrated. Most condiments: mustard, ketchup, vinegar, lemons and limes, oils. For soy-free and egg-free mayo, I recommend Just Mayo. This is available many places including Whole Foods, Vitacost and Amazon. All herbs, spices, chocolate and carob: You can make a meal with a piece of fish or chicken, some garlic and onions, vegetables and some fresh herbs and spices. Very simple but very good. There are infinite ideas and recipes out there in terms of just using meat or fish, vegetables and fresh herbs and spices. She can also still eat chocolate and carob as long as it’s dairy-free and grain-free. You could make grain-free chocolate or carob muffins, cookies, cakes, etc (search for grain-free and egg-free dessert recipes). Even make your own hot chocolate with some cocoa powder, nut milk and a sweetener. All sweeteners: also another plus. Try to stick to raw honey, agave, molasses and real maple syrup. In a small bowl, add the gelatin. Add the cold water and stir until combined. Add the boiling water and stir until clear. Add the gelatin mixture to the flour mixture and stir until thoroughly mixed. Another alternative that was recently passed onto me is something called aquafaba. As opposed to gelatin, it is vegan because it is made from chickpeas. I have not personally tried it because I can’t eat chickpeas but it looks promising for those people who cannot eat eggs. You can even make meringue pie with it. I also wrote a blog post about egg-free breakfast ideas. Dairy-free alternatives: This is really a topic in and of itself, so I won’t go into this completely. But as I mentioned earlier, her choice milk would be almond or another nut milk or hemp milk. You can make your own nut milk very easily. Coconut milk would also be a good option. Daiya cheese is a great cheese alternative that is also soy-free. My son enjoys it and I also use it in food for my clients who cannot eat dairy. Some people can eat ghee in place of butter, which is clarified butter. Also, coconut butter is a great alternative to butter. It is delicious! She can also eat coconut yogurt and coconut ice cream, great alternatives (and yummy too) since she can’t have dairy, soy or rice. I have written out many dairy-free options in my e-book, Substitutions for Allergy-free Cooking. You can receive the section about dairy-free alternatives for free here. Cornstarch alternative: Arrowroot powder can be used part for part in baking recipes that call for cornstarch. There is also a corn-free baking powder available for baking. Soy-free soy sauce: For an alternative to soy sauce, I love Coconut Aminos from Coconut Secret. It has been on the market for a few years now and I am still grateful for its invention as many of my clients cannot eat soy and I can’t either! Simply use it part for part in place of regular soy sauce. Bananas: Bananas are one of those foods that are used very frequently when it comes to making smoothies. This is a bit of a challenge to find a replacement for bananas that will also make the smoothie creamy like bananas do. I find that the best replacement is peaches or nectarines combined with coconut milk. If you use frozen peaches, it will make it even thicker and creamier. 4. Start compiling recipes that work for your diet. Pinterest is a great way to save recipes based on the categories you create. You can do searches for recipes that are free of your most prominent allergens such as dairy, grains, and eggs. Search for recipes that have been your favorites but you are now unsure how to make with your new diet. For example, you could search for Grain-free and Egg-free banana Bread. 5. Get organized: Once you have compiled a list of recipes you’d like to try that fit your new diet, the next step is to organize them for them week. Print them out or make copies from cookbooks. Then look through the ingredients to see what you need to add to your shopping list for the week. Then, yes, go shopping, or order unusual ingredients online. 6. Be brave and take baby steps: Take the last step and be brave to try something new. It can seem daunting at first to use unusual ingredients you’re not used to using in cooking and baking. But start with something most familiar to you and go from there. Take baby steps. Try one or two new ingredients a week so you don’t get overwhelmed by too many choices. 7. Don’t get too discouraged: Expect to have some flops. You’re learning something new and it may take some time to learn some new tricks of the trade. But be patient and keep trying. Pretend you’re on an adventure and your next meal is your next mission. This may sound corny but if you can get excited about creating new and delicious foods, you will most likely have better results. Need more help? This process is a lot easier when you have a set of recipes and menu planners that already work for your diet. 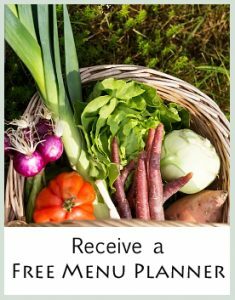 That’s why I created the membership site to make people’s menu planning easier who have limited diets such as an autoimmune protocol, an elimination diet or a diet such as GAPS that is also nut-free. Good luck! 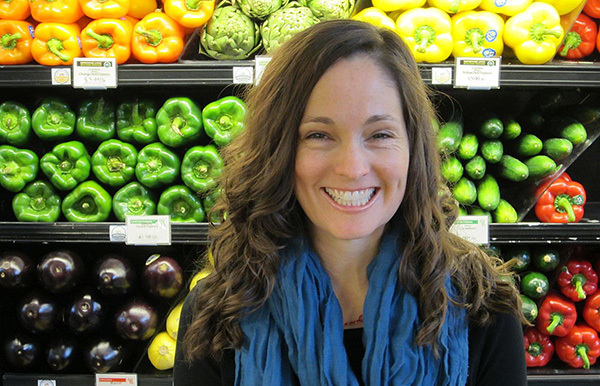 I’d love to hear from you so leave a comment about your own adventures in allergen-free cooking and baking! I love this service you provide! Thank you. I just have a thought about the condiments in this list. I recently discovered my son has an issue with corn, not an allergy, but rather, when he eats it, he suffers angry outbursts and anguish. In researching where corn hides (in so many places!) I found that vinegar is often corn-based. There are a few mustards our there made from ACV, but white vinegar is tricky. I just wanted to share in case it is helpful to anyone trying to avoid corn. Great resource! Just found out I have to go grain-, egg-, soy-, and dairy-free and was panicking a bit!! Thanks so much…I think I can handle this now! Lol.